From Brand New and the CBC website. Canada 150 is an initiative by the Government of Canada to celebrate the country’s 150th anniversary in 2017. The Canada 150 logo will be featured in all Government of Canada products and events related to the 150th anniversary. The logo was designed by Ariana Mari Cuvin, 19, a student of the University of Waterloo in Ontario, winner of the Canada 150 Logo Design Contest. Ariana was chosen from a field of over 300 eligible entries. 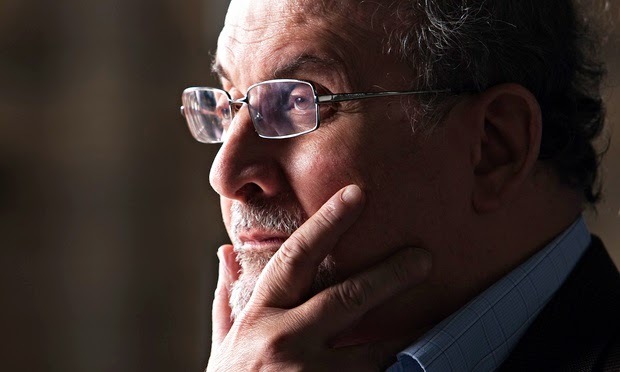 Salman Rushdie, who spent years in hiding after a fatwa was issued against him, has spoken out strongly against the decision by six of his fellow authors to withdraw from the PEN annual gala in New York over the organisation’s decision to honour Charlie Hebdo with its freedom of expression courage award. Pascal Blanchet is a singular cartoonist and illustrator, whose books include White Rapids, Baloney, La Fugue, and Nocturne. 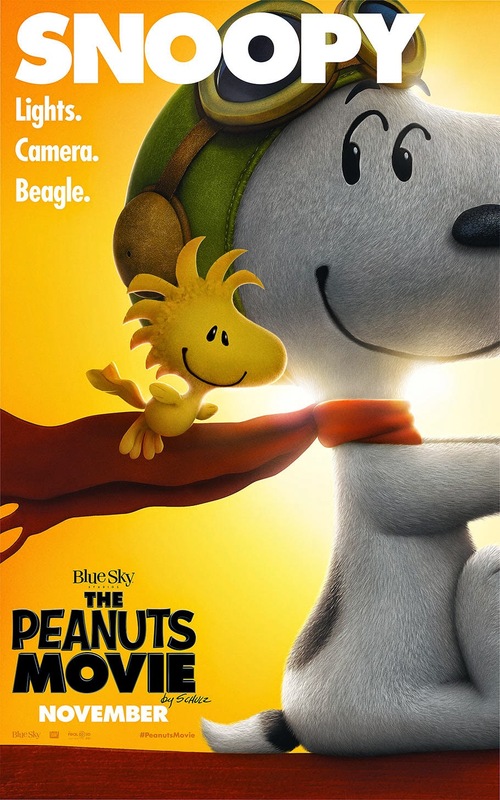 They have been published in multiple languages by esteemed publishers Les Éditions de la Pastèque (French), Drawn & Quarterly (English), and Barbara Fiore (Spanish). 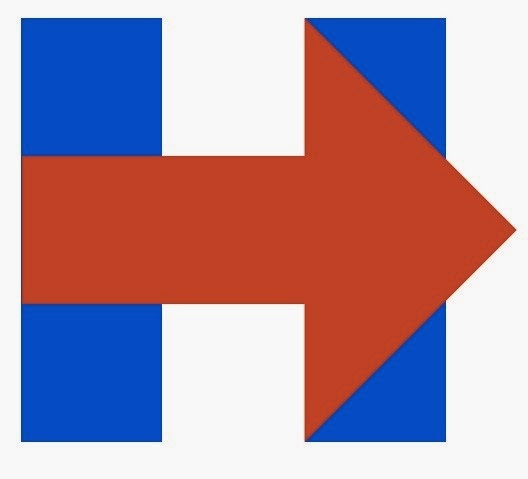 Since anything to do with Hillary raises red (and blue) flags, critics assumed that the logo must be packed with symbolism. So, left-wingers were displeased that the arrow is red and points to the right, while right-wingers were annoyed that, when reversed, the arrow points left. Not since the Soviets ideologically censored art for geographical orientation—things facing West were forbidden—has the mere direction of anything been so disparaged. But that doesn’t mean Hillary’s logo should be given a free pass. The folks at FedEx, Tag Heuer, Amazon, and at least a dozen other corporations are justifiably upset because they have arrows in their logos, too—and how many arrows can the market bear? From the Pulitzer Prizes website. 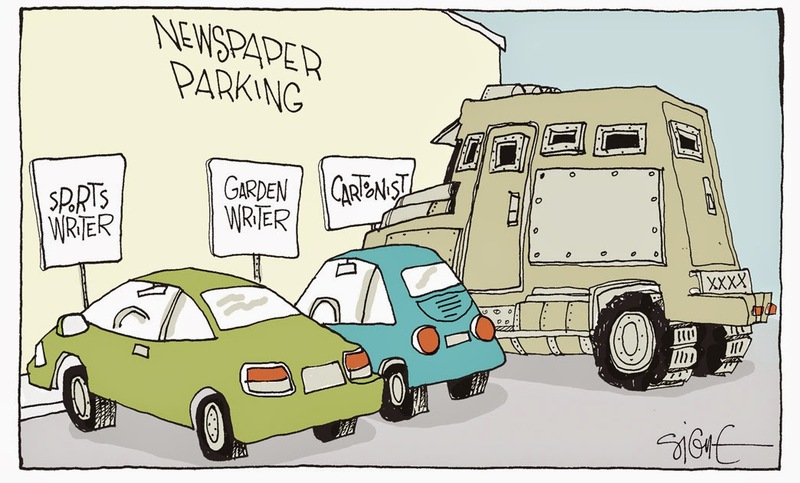 For a distinguished cartoon or portfolio of cartoons, characterized by originality, editorial effectiveness, quality of drawing and pictorial effect, published as a still drawing, animation or both, Ten thousand dollars ($10,000) is awarded to Adam Zyglis of The Buffalo News, who used strong images to connect with readers while conveying layers of meaning in a few words. 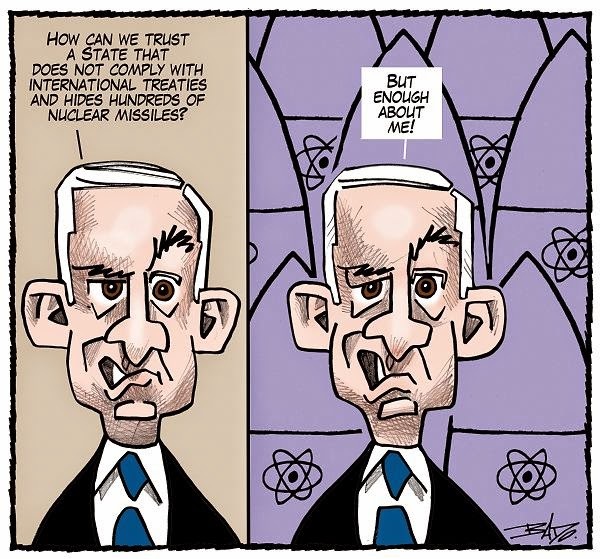 David Frum responds to Garry Trudeau in The Atlantic. 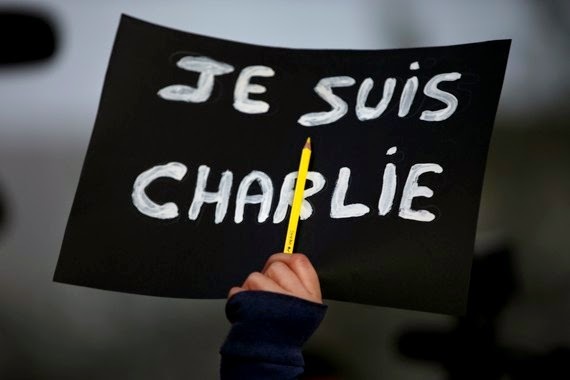 In thanks for an award honoring his lifetime of achievement as a cartoonist, Trudeau used the occasion to denounce the murdered cartoonists and editors of Charlie Hebdo. The Atlantic posted his remarks. 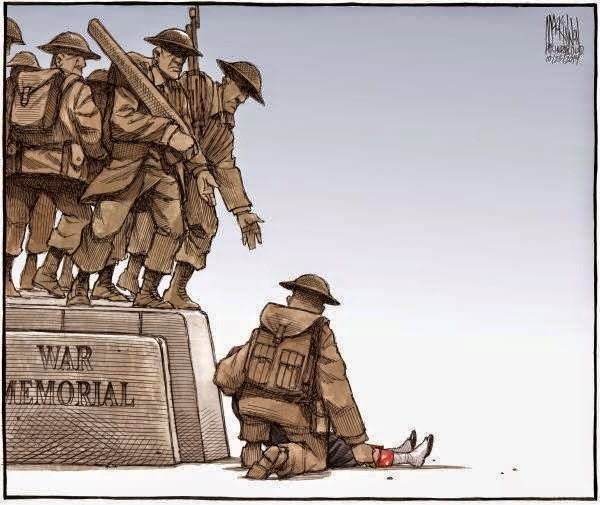 Nathan Cirillo's mother donates Bruce MacKinnon's war memorial cartoon to the regiment. 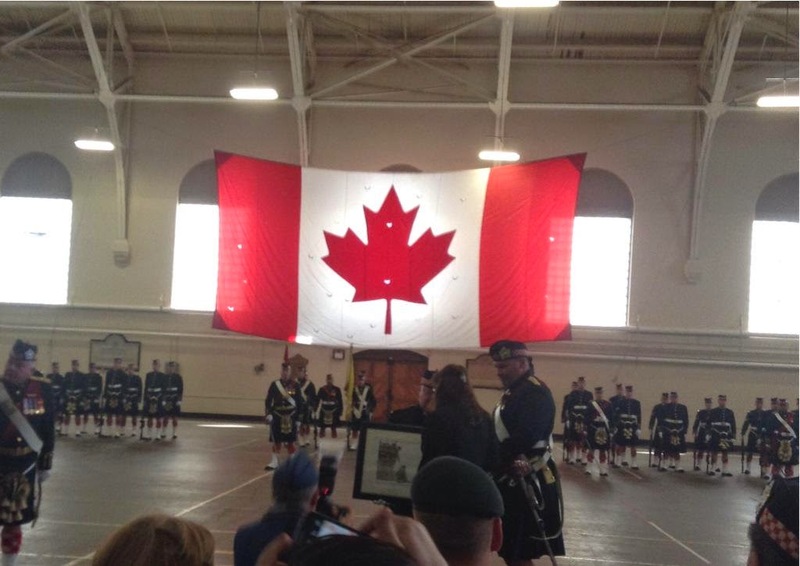 The regiment said it would share the cartoon with Canadians through museums and art galleries. A cartoon I drew for Le Droit was mentioned in the article "Wanted: Political satire, the pure, gritty, unfiltered and critical stuff" in the spring issue of "Power & Influence", included in the current issue of The Hill Times. 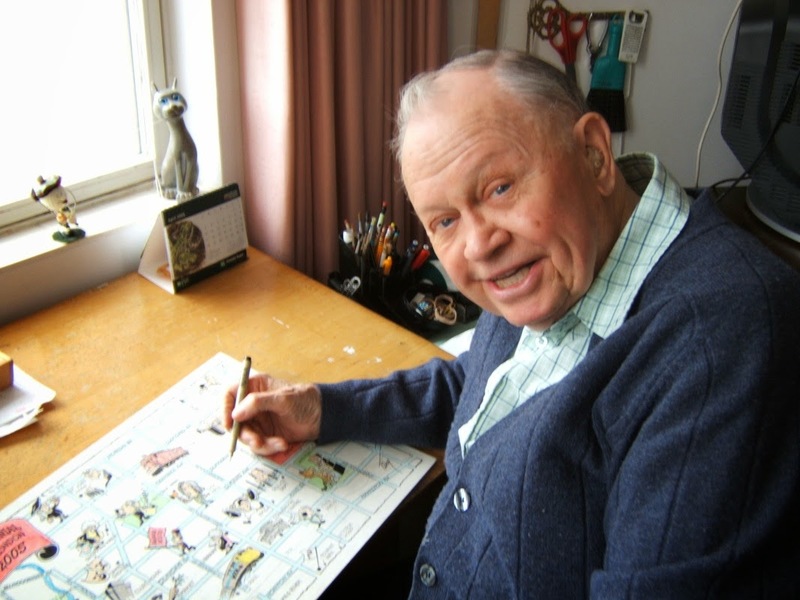 John Baird had a long feud with Le Droit newspaper, and wouldn’t do interviews because he had a problem with an image that the paper’s cartoonist Guy Badeaux, aka Bado, drew of him. 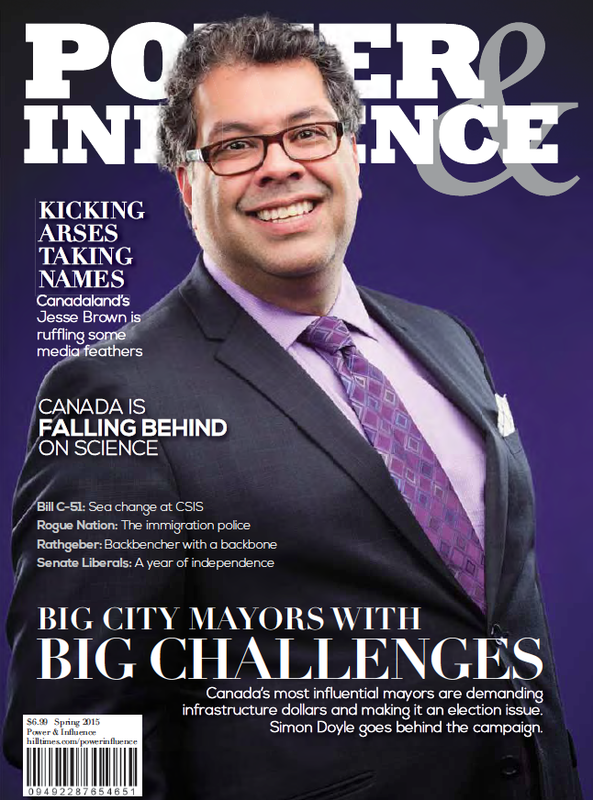 At the time, Mr. Baird was the Ontario Minister of Francophone Affairs in then premier Mike Harris’ Cabinet and the French-first Montfort hospital in Vanier was slated to close. From the Drawn & Quarterly website. 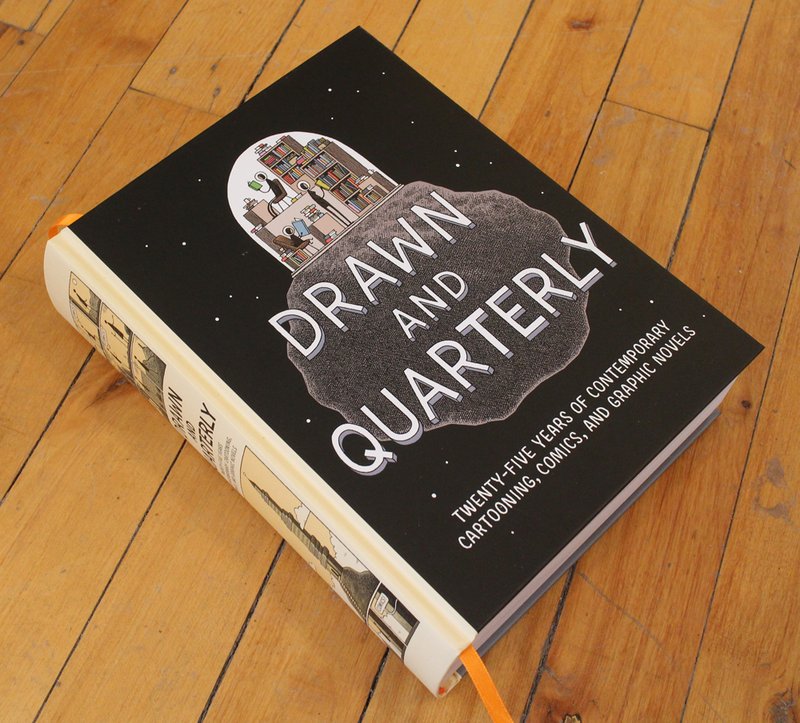 Drawn & Quarterly: Twenty-Five Years of Contemporary Cartooning, Comics, and Graphic Novels is an eight hundred-page thank-you letter to the cartoonists whose steadfast belief in a Canadian micro-publisher never wavered. 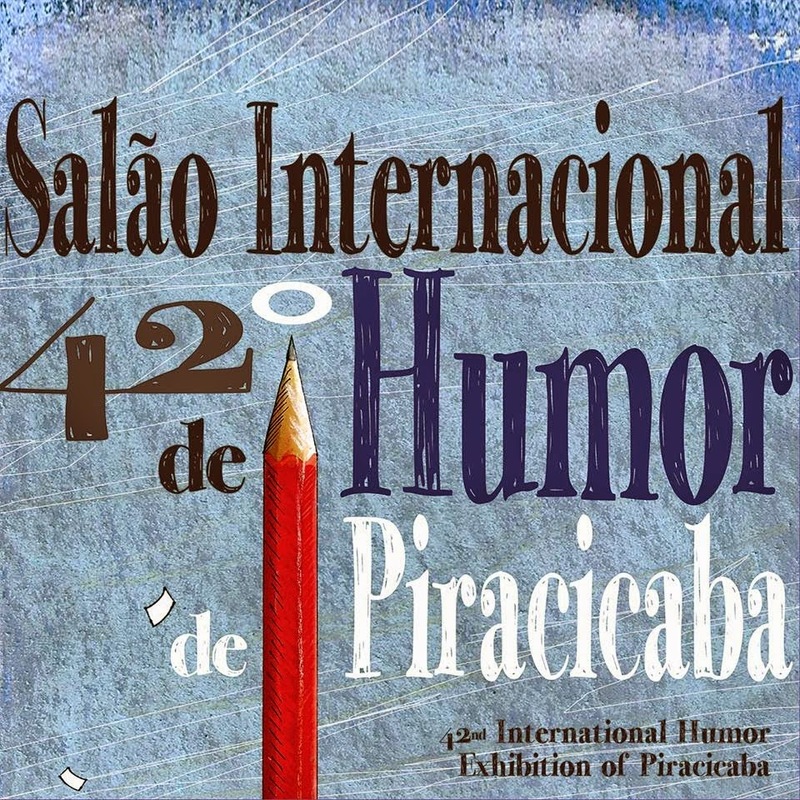 From the Salão Internacional de Humor de Piracicaba website. Traditionally, satire has comforted the afflicted while afflicting the comfortable. 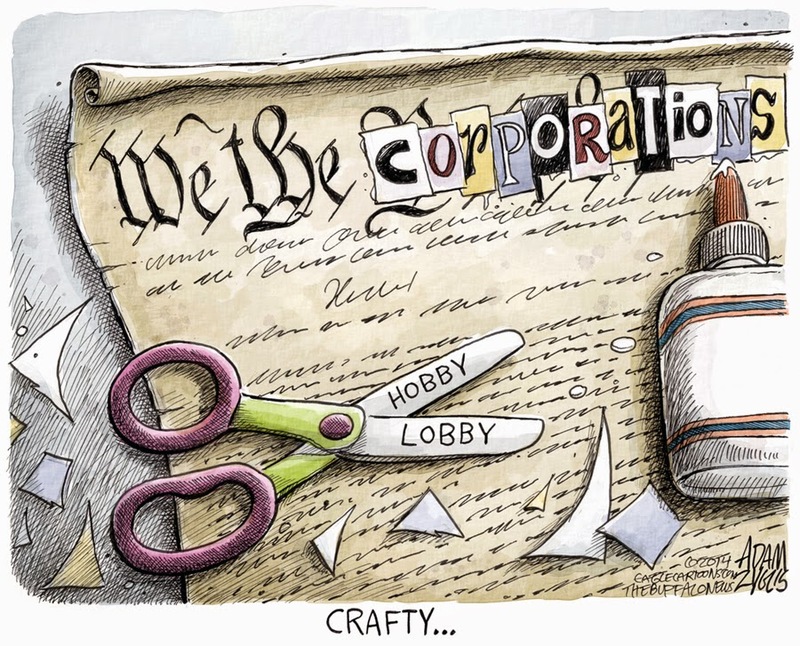 Satire punches up, against authority of all kinds, the little guy against the powerful. Great French satirists like Molière and Daumier always punched up, holding up the self-satisfied and hypocritical to ridicule. Ridiculing the non-privileged is almost never funny—it’s just mean. Well, voila—the 7 million copies that were published following the killings did exactly that, triggering violent protests across the Muslim world, including one in Niger, in which ten people died. Meanwhile, the French government kept busy rounding up and arresting over 100 Muslims who had foolishly used their freedom of speech to express their support of the attacks. 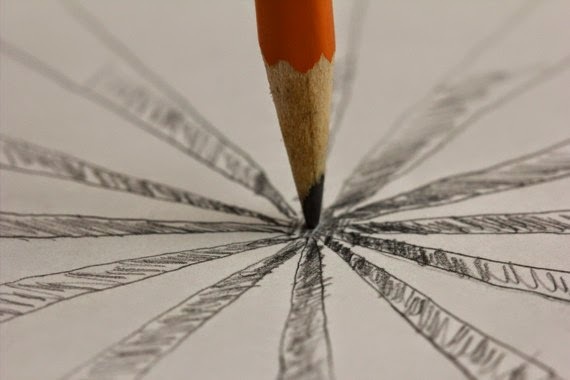 Here is how 15 of America’s leading cartoonists responded. Malaysian political cartoonist Zunar has been charged with nine counts of sedition in Kuala Lampur, Malaysia. If convicted on all charges he faces more than 40 years in prison. 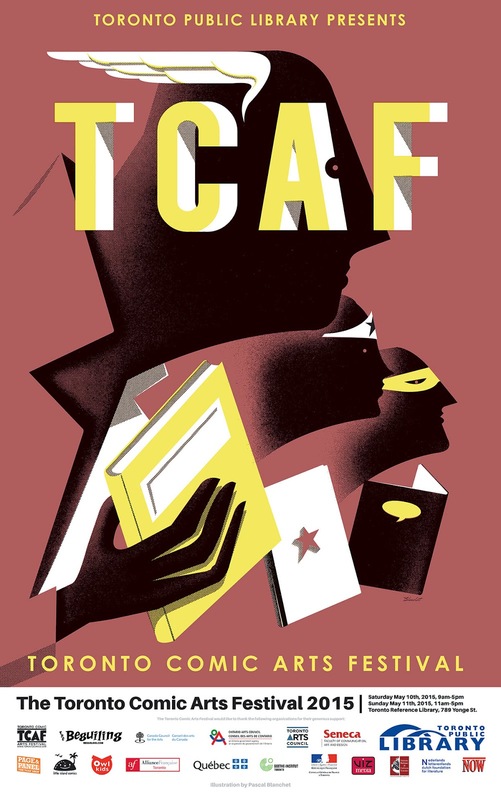 The Doug Wright Awards for Canadian Cartooning, which will be announced in a ceremony held at the Toronto Comics Arts Festival May 9, are proud to announce their finalists for 2015. 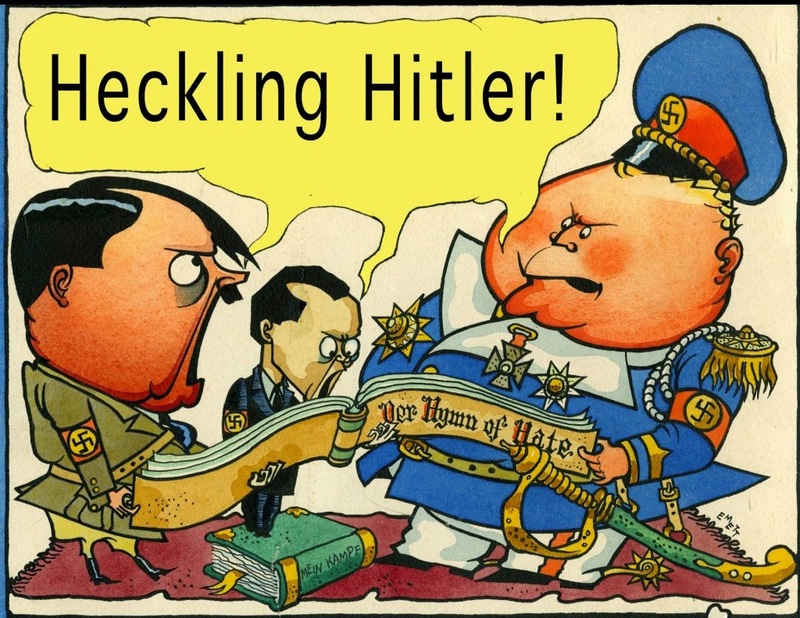 "Heckling Hitler: World War II in Cartoon & Comic Art"
It is difficult for those of us living in the 21st century to realise the impact of cartoon art 70 years ago. To a news-hungry public, anxious about world affairs facing possible invasion, the radio was a lifeline, but it was the topical cartoon with its immediacy and universal accessibility ? even to the barely literate ? that could speak the message mere words could never convey. The propagandists and media manipulators were swift to recognize this power.